Urban Decay is one of my favourite brands for many reasons, mostly because their eyeshadows are my favourite formula of life and their packaging is the prettiest as well as the edgiest and most unique, chic and fleek, in my opinion. Their newest drop is no surprise at all because everything literally looks stunning and there is so much! We have been treated to: 6 shades of a new foundation/base product, the One and Done Hybrid Complexion Perfector; 2 new bronzers; a new 24/7 Eyeliner Pencil and a new Waterline Eye Pencil; and finally 3 Afterglow 8 Hour Powder Highlighters. Every single product is packaged so perfectly that if I actually bought any of these items I don't think I would use any of them, do you think you can fall in love with a picture? Short answer: yes, have you seen Nick Bateman? As stated, I do not own a single product but I have been devouring reviews, tutorials and overviews from every corner of the internet to help reach a decision as to what is worth picking up from their new summer collection and alas I have reached a decision. So if you have been struggling with this too, please keep reading, I'll add links to in-depth reviews and videos that might be helpful along the way, so this won't be a complete waste of your time. We'll go through them one by one, with pros and cons, what to expect and who each product is most suited for. I'll include links and prices as well. Let's start with the product I am most excited about: One & Done Hybrid Complexion Perfector (£25). 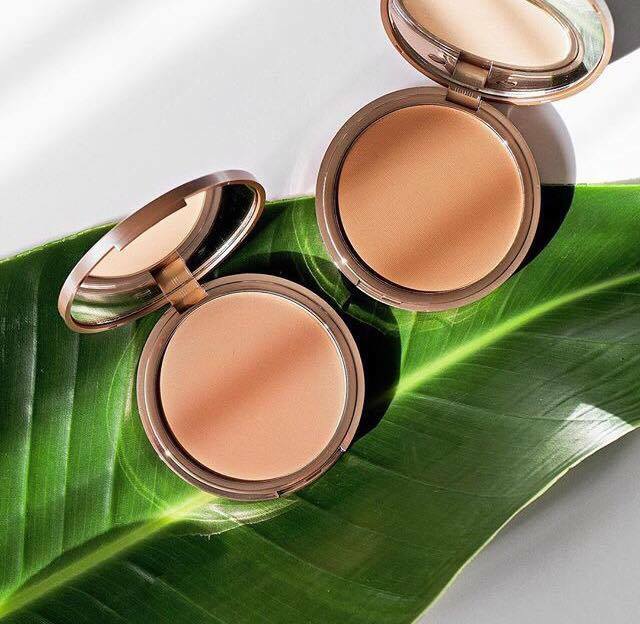 This is marketed as the perfect summer base, it is long-wearing with a lightweight comfortable formula that provides the coverage of a tinted moisturiser and claims of reducing the appearance of pores after consistent use. In addition, it purportedly adds radiance to the skin. It is available in six shades, and overall the response has been hugely positive. No affirmations on whether it reduces the size of pores or boosts radiance as of yet, but generally it is a great base product. 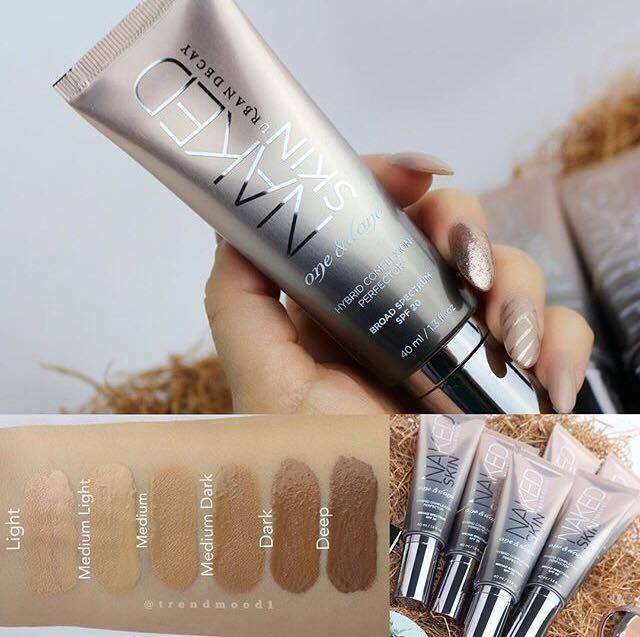 This is definitely worth checking out, I am not a fan of the original Naked foundation as it looks cakey on my combination skin, but people with dry skin and people with oily skin equally rave about this product. For reference, I reckon I would be the shade Medium Dark, maybe Medium in Winter. I love the packaging too, it comes with a pump and in a sleek tube which is convenient, attractive and hygienic. Another thing I want to quickly mention is the Good Karma Optical Blurring Brush (£21). This is a vegan brush with densely packed synthetic hair that allow you to really buff any liquid/cream product onto the skin for a flawless finish. I love the UD eyeshadow brushes and the fact that they are vegan and cruelty free is a huge plus for me. The gunmetal handle is produced from recycled aluminium and the brush size is perfect for tackling the full face (and neck!) quickly. 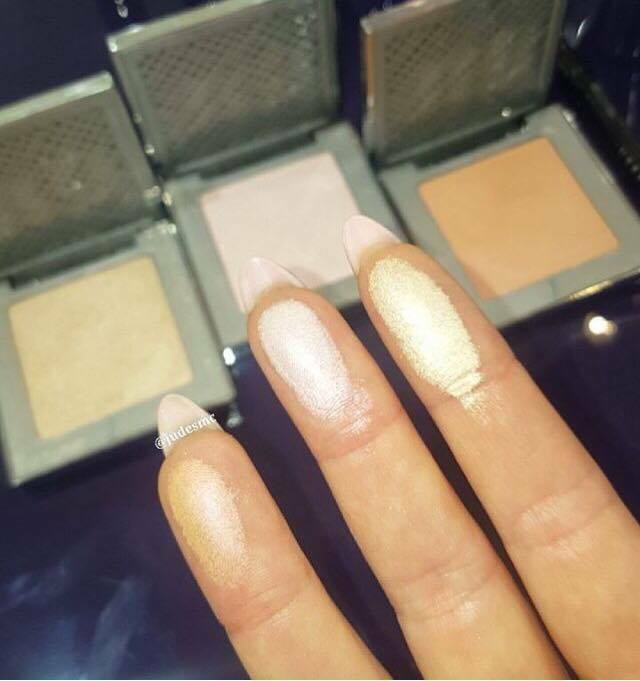 The next products are the gorgeous 8 Hour Afterglow Highlighters in Sin, Aura and Fireball (all £19). I don't want to beat around the bush too much, the formula is identical to the popular Afterglow 8-Hour Powder Blushes (£19). Simply put this means the powder highlights are just as blendable, buildable and beautiful as the blushes. 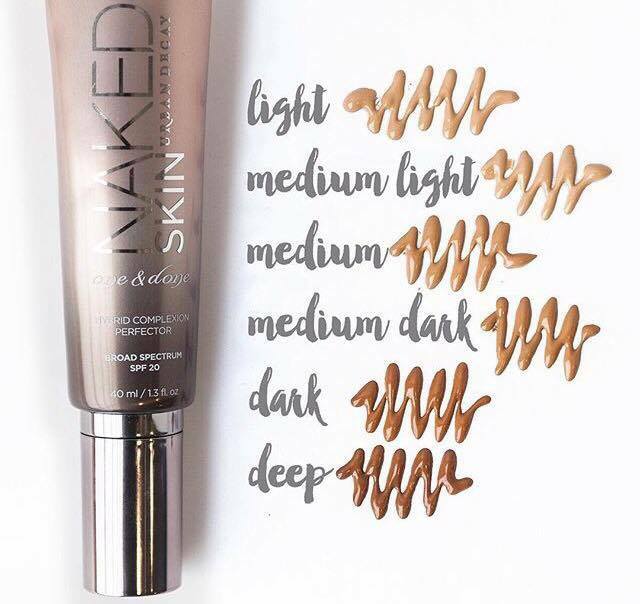 The three shades, I feel, are marketed for specific skin tones: Sin is universally flattering, Fireball would look really gorgeous as a highlight on deeper skin tones with a reddish undertone or as a blush on anyone with warm skin and Aura really targets fair skinned gals who love an icy highlight. You can see swatches below. From l-r: Sin, Aura and Fireball. For any of you hard-core UD fans you may have noticed that Aura sounds and looks a little familiar, well you'd be right! 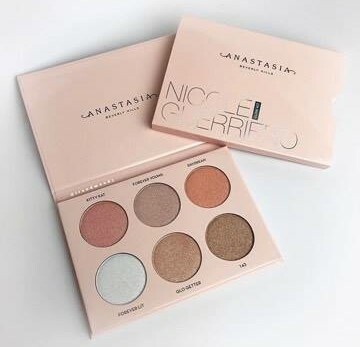 I have the LE Glinda Palette from their Oz Collection three years ago and one of the pans had two icy pastel highlight shades, that pinkish shade is Aura for sure, so if you have this, use it as a highlight. Sin is the one I would purchase but again it's very dupable and currently sold out everywhere. There is nothing stopping you from using an eyeshadow as a highlight instead. Introducing the palm-tree decorated Beached Bronzer (£20). There are two shades available Sun-kissed and Bronzed, they are both warm coloured medium browns. 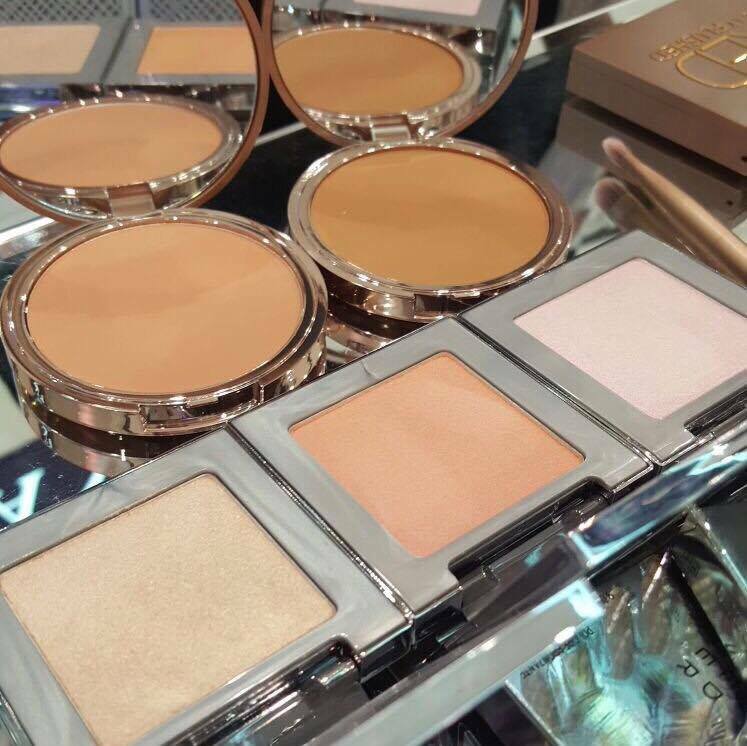 True bronzing powders, no cool contour shades here. The packaging on these are really stunning, that cool mint palm tree effect is gag-worthy, such a good job. I don't actually like the colours for me, personally. I don't think even Bronzed would show up on my medium skin tone, in all honesty. If you have fair to tan skin definitely consider giving these a try but there are so many more affordable options out there that this is something I would only purchase just because of the divine packaging. 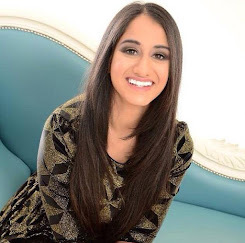 For really fair skin opt for Sun-kissed and for warmer light skin Bronzed should work perfectly. The formula is raved about across all social media platforms, based on reviews I have read it is a very silky, finely milled powder, not chalky at all and easily blended on top of other products. Thank you so much for reading, I hope you enjoyed this post. Please leave a comment and share your thoughts on this collection. I read and reply to them all and it really means a lot to me. 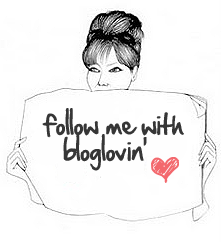 Don't forget to follow my blog and check out my other posts if you have some time to kill. Take care. Where is your favourite place to go on holiday/vacation? Hi Aliona, thank you for your comment. I have already entered, and I follow your blog already. Love it! I seen this in store a few weeks ago and was just so overwhelmed by all its newness! Couldnt decide between any of them and couldnt afford them all so left with nothing lol. Really need to go back and have a good look. It really is a stunning collection! It is, I think if I had to choose I would get the One and Done and the Sin highlight, but Sin seems to be out of stock everywhere. Let me know if you pick anything up, the packaging is beautiful. I just wish they had darker bronzers. Haha, Andrea, I am tempted to get them too, but the colours really wouldn't show up on my skin unfortunately. That packaging is gorgeous though. Thank you for commenting! i am so excited by this collection!!!! i'm glad you tried it out for us and reported back. love the packaging on this too!! Thank you Elle, glad you like the post. Let me know if you get anything! I think those are the two that are really worth it out of this whole collection. If you have light-tan skin then maybe a bronzer too. Thank you for your comment, Alina. The one that I really want to get my hands on is One and Done! It sounds like the perfect base for Summer indeed and everything that I hope for my base product. It really does, I read a recent post saying it had better coverage than the Nars Matte Skin tint as well. Plus, it's £5 cheaper, thank you for commenting Shireen. Great post and amazing pics!! 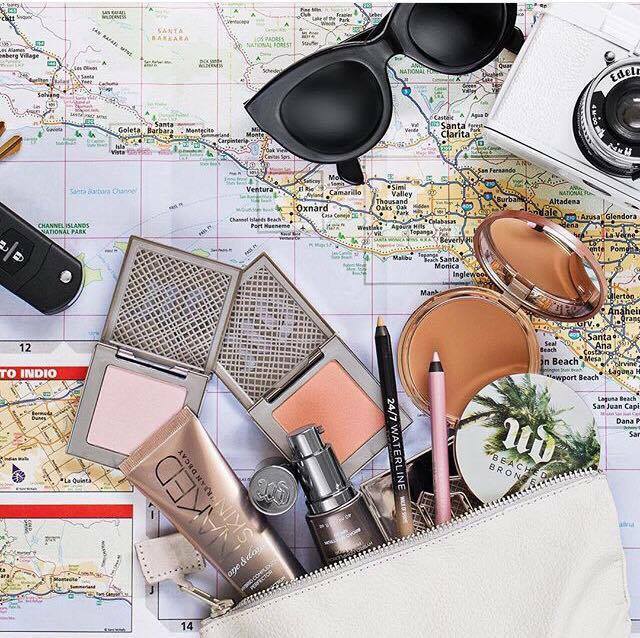 the naked skin product seems to be amazing and perfect for holiday. i love the scandinavian countries but if i want to soak up sun italy is just beautiful. I love Italy, I went there two years ago and explored Rome, Florence and Venice. Dying to go back and see the Amalfi coast. 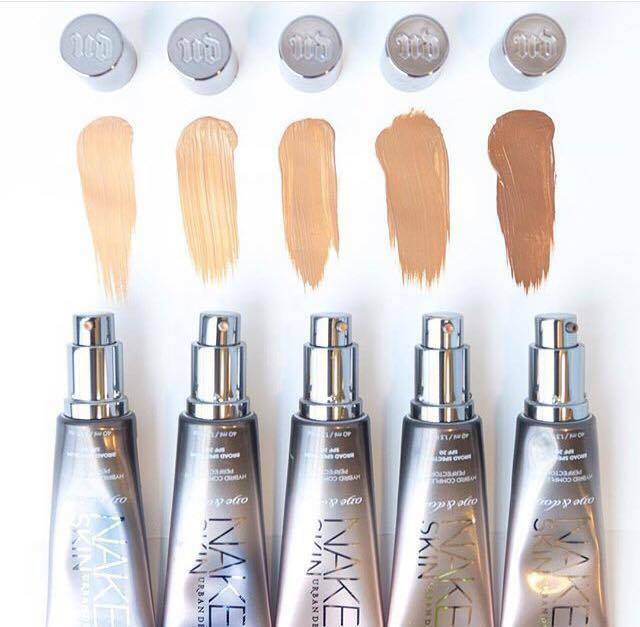 The Naked Skin product sounds pretty much perfect, I love the sleek packaging and pump as well. Thank you for commenting, Elena. No problem, Claudia, thank you for commenting. Ah Florida is definitely on my list, I want to do a classic US roadtrip for the West Coast and then visit NYC and Miami separately most likely. I just need to find pots and pots of money, thanks for commenting Rachel! My pleasure, Jamie, thanks for reading! You're so sweet, UD is one of my favourite brands. I adore their eyeshadows more than probably any other company. Their packaging is miles ahead most other brands too, IMO. Thank you for commenting. I LOVE the packaging for this range! I've only got my Naked palette 3 for UD but have always wanted to try more of their products! The Naked 3 palette is gorgeous, now that it's Spring again I find myself reaching for it everyday. Their UDxGwen eyeshadow palette is stunning too if you're looking to delve into more of their products. Their Naked Skin concealer and eye pencils are definite favourites also! 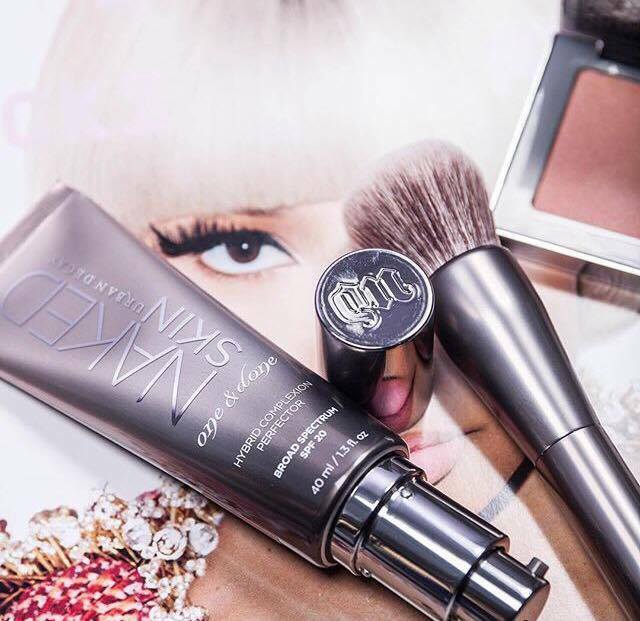 These products all look gorgeous! However, I think the highlighter is the real star of the collection :-) I can't wait for summer looks to start being appropriate again! 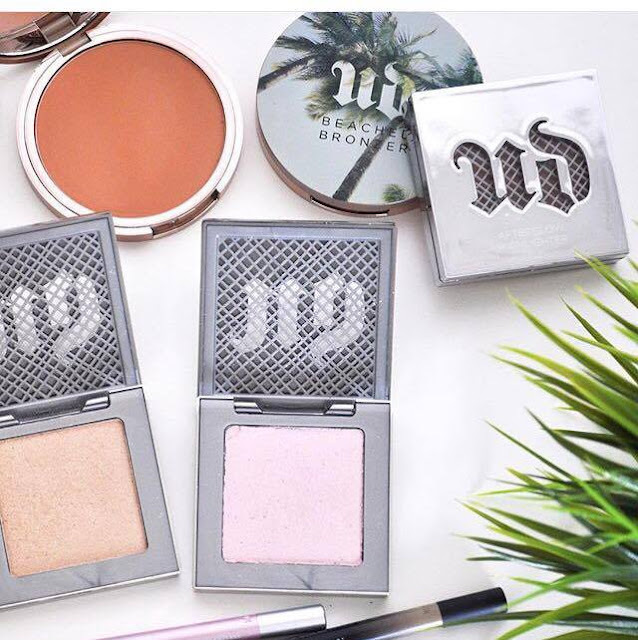 The highlighter is definitely stealing the show, but the packaging on the bronzers, to me, is just dreamy. Wish they had more shades available. Do it, do it, do it! The One and Done is the product I am most excited about. 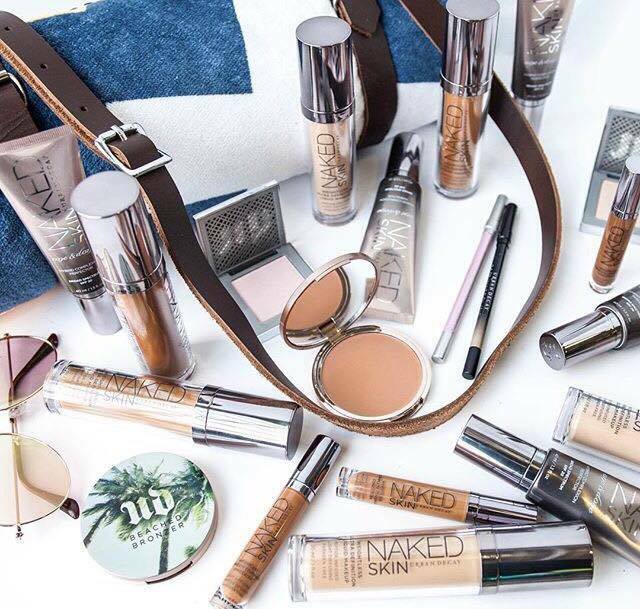 The palm tree packaging alone makes me want to get all the bronzers and just stare at them. Every. Single. Day. So pretty. omg I need everything from this collection! I would skip the eyeliners, you can get them a lot cheaper elsewhere, but apart from that, go crazy! Let me know if you pick something up. Thank you for commenting, Ana. I love Urban Decay, I want all of these. I wish they open a store in my country. I have to buy them abroad. Really, where are you from? UD is such a big brand, I am shocked they don't ship internationally. Thank you for commenting, Alyssa. love the look of this collection! Great post and lovely pictures! Thank you so much, Eva. Glad you enjoyed it. I am just in love with this whole collection! I feel like Urban Decay really nailed Spring/Summer vibes with this one. Those highlighters... So stunning. I know their packaging is gorgeous too! Thank you for commenting, Natalie. It's always better to get the lighter shade, rather than the darker one if you can't get one that matches your skin. But you can get the Shade Adjusting Drops from The Body Shop to make it lighter if you want. Thank you for commenting, Rani.